It is a rare occasion to be associated with an original. 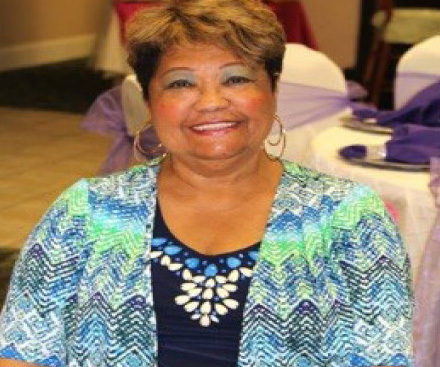 This month the Spotlight shines brightly on the mother of the kids in the “First FBBC Sunday School.” Follow me as we sail through her interview. My hobbies are many and varied and in.clude making things beautiful, cooking, fishing with my husband but not baiting my own hook, shopping, spending time with family and friends, going to the movies and supporting my grandkids in their various sports and school activities. I have numerous interests that include but are not limited to watching football and basketball, traveling, learning new things, meeting new people, reading and helping people. Tell us briefly about your career in.cluding activities at Fellowship. I have been attending Fellowship since its inception in 1980 and joined six months later where I learned the true meaning of salvation and became SAVED. Since then I have served faithfully in many ministries because working for Christ is my passion. I have been ministry leader of the culinary, exhortation, greeters, beautification, and health ministries. I presently serve as ministry leader of the liturgical dance team. In the past, I sang in the choir and participated in the theatrical ministry. I am presently a member of the event planning and the culinary ministry. I still remain very active for Christ! My career in nursing has taught me to put others first and keeps me in help mode be.cause that is definitely my calling. The most important lesson I have learned is to put Christ first in everything I do because it helps me to stay focused on the important things in life and selflessness. I would like to be remembered as a person who loves Christ and her family, a friendly, funny and self-motivated person. What is “your message” (words of wisdom) to Generations X, Y and Z? My message for the next generation is to remember to always seek God first and let Him lead you in your decision-making process. Your life is what you make it so always work hard to gain what you want out of life! Furthermore, no one can make you happy except YOURSELF! And always remember when in doubt, Philippians 4:13 says “I can do all things through Christ who strengthens me.” God, bless you all! Mrs. Barbara Harris is indeed an “original”. I remember that bright and smiling face from when I attended FBBC back in ’94-98 during my stay at Robins AFB. I remember the pastor (Willie L. Reid, Sr) saying that “everyone should come through the ‘ship at least once before going to heaven”. Man, precious memories and some of the best days of my life experiencing Middle GA (aka, country living and church…haha!). I am eternally grateful to the FBBC family for laying a foundation for a young twenty-something kid back then that still resonates today!